It’s more than just a facial product. Facial mists are a cult favorite in the beauty world for numerous reasons: They plump and hydrate tired-looking skin, help reduce redness post-workout, and smoothen bumps after a shave. Here, nine reasons why you should stock up on mists, and how you can use them on your face and body. 1. Use it to calm irritated and sensitive skin. Heading out to brunch after a spinning class? Calm your sweaty, post-exercise skin down by spritzing the mist on to your face to reduce redness. 2. Love getting a tan, but hate the burn that comes with sunbathing? Pack a facial mist in your beach bag and spray it all over your body when you just can’t tolerate the heat. Facial mists are great for soothing tanned and burned skin, especially if you’ve been under the sun for too long. Skin becomes ridiculously itchy after shaving. Relieve stress by spritzing facial mist on to your legs and underarms to smoothen chicken skin and ease out bumps. Hey, you can even tell your boyfriend to spray it on his face after a shave, too! Our suggestion? Store it in the refrigerator half an hour before using it for a cooling effect. Foolproof your eye makeup by spritzing on facial mist, which acts as a sealant, hence preventing your makeup from smearing or smudging. 5. Facial mists work as bases, too. Makeup only looks good when the skin is primped and primed to perfection. Spritz on some facial mist after cleansing your face to create a thin veil where makeup can stick to. 6. Use it on your eye bags. Dark and puffy under-eye circles are never in fashion. Fake having eight hours of sleep by spraying facial mist to wake tired-looking skin up and de-puff eye bags. Nothing zaps the glow out of your face quite like dry skin. Freshen up midday with a soothing mist that hydrates and plumps, creating a dewy, lit-from-within lewk you can’t get from a highlighter. 8. Take it with you literally everywhere. Ever wonder why celebrities look sooo good after long-haul, red-eye flights? Be sure to pack a travel size facial mist in your carry-on so you can spray midday to freshen and brighten up. 9. 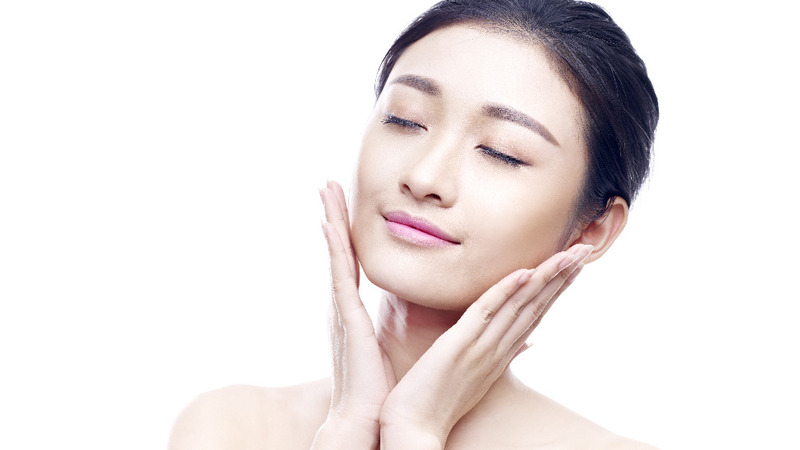 Banish blah skin for good. Pimple problem? Zap the redness out of your face with a facial mist before using a spot corrector and concealer. 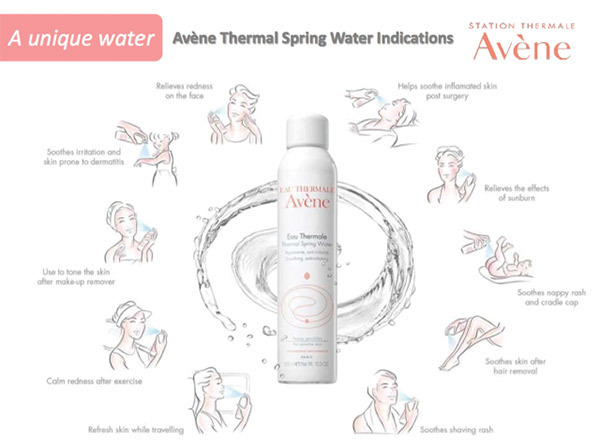 For more information about Avene, check their Facebook page.